ArcNews is quite an amazing publication. By far the most widely distributed publication in the GIS industry, close to 750,000 copies of ArcNews are printed four times a year (and even more people read the articles when they visit ArcNews Online…). And it continues. 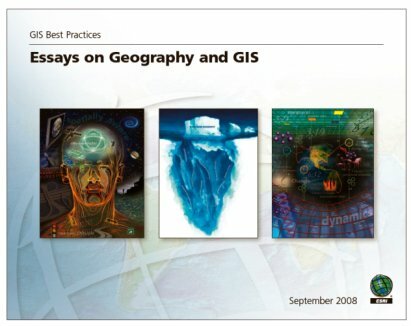 “Implementing Geographic Information Technologies Ethically” by Harlan J. Onsrud, professor of spatial information science and engineering at the University of Maine, was published in the Fall 2008 issue of ArcNews. The winter 2008/2009 issue, which will be mailed to subscribers in the next few weeks, features an article by Harvey J. Miller called “Transport 2.0: Meeting Grand Challenges with GIScience.” And for the winter 2008/2009 issue of ArcNews and beyond, Tom is actively working on additional articles for this series. If you have an idea for an article in this series, I would encourage you to contact Tom.